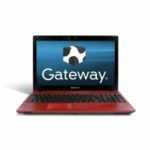 Gateway NV5915u is a new released 15.6-inch laptop equipped with a 2.13GHz Intel Core i3-330M Processor, 4GB DDR3 1066MHz Memory, 500GB 5400RPM SATA Hard Drive. 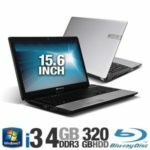 It sports a 15.6″ HD Widescreen Ultrabright LED-backlit Display, Intel Graphics Media Accelerator HD, 4X Blu-ray Disc/DVD-Super Multi Double-layer Drive. The laptop runs on Windows 7 Home Premium 64-bit Operating System. It supports up to 4 Hours 30 Minutes of Battery Life. Needless to say, people are very happy with such a configuration, it's good enough for our daily use. As a high-configured 15.6″ laptop, the Gateway NV5915u could be a perfect entertainment laptop, you'll enjoy wonderful experience with it. 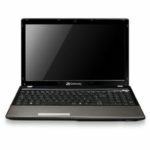 On the Gateway NV5915u Laptop, the widescreen display helps you stay productive by letting you view multiple windows at once, while the dedicated numeric keypad is ideal for students and professionals who need to quickly and efficiently input numbers. I'm pretty sure you'll love this Gateway NV laptop too. The Gateway NV5915u comes with a lot of impressive features, let's take a look. 15.6-inch LED-backlit Ultrabright widescreen display (1366 x 768 resolution) enables you to easily multitask across numerous open windows and comfortably watch movies on the go. This Ultrabright display offers a high-gloss, sharp contrast, anti-reflective finish. 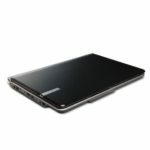 2.13 GHz Intel Core i3-330M dual-core processor for a fast, responsive PC experience (3 MB L3 cache). It comes equipped with Intel HD Graphics, an advanced video engine that delivers smooth, high-quality HD video playback, and advanced 3D capabilities, providing an ideal graphics solution for everyday computing. Intel's Hyper-Threading Technology enables each core of your processor to work on two tasks at the same time, delivering the performance you need for smart multitasking. Watch Blu-ray Disc movies in crystal clear resolution with the read-only Blu-ray drive; also supports reading/writing of CD-R/RW, DVD±R, DVD±RW, DVD±R DL, and DVD-RAM. 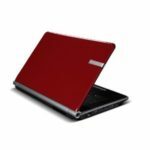 Of course, these are just the key features this laptop offers, you'll find out more cool features when you get the laptop. 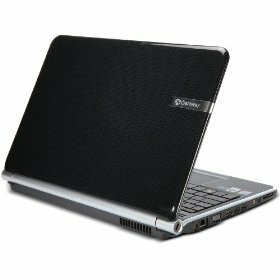 So what do you think about the Gateway NV5915u 15.6-Inch Laptop?